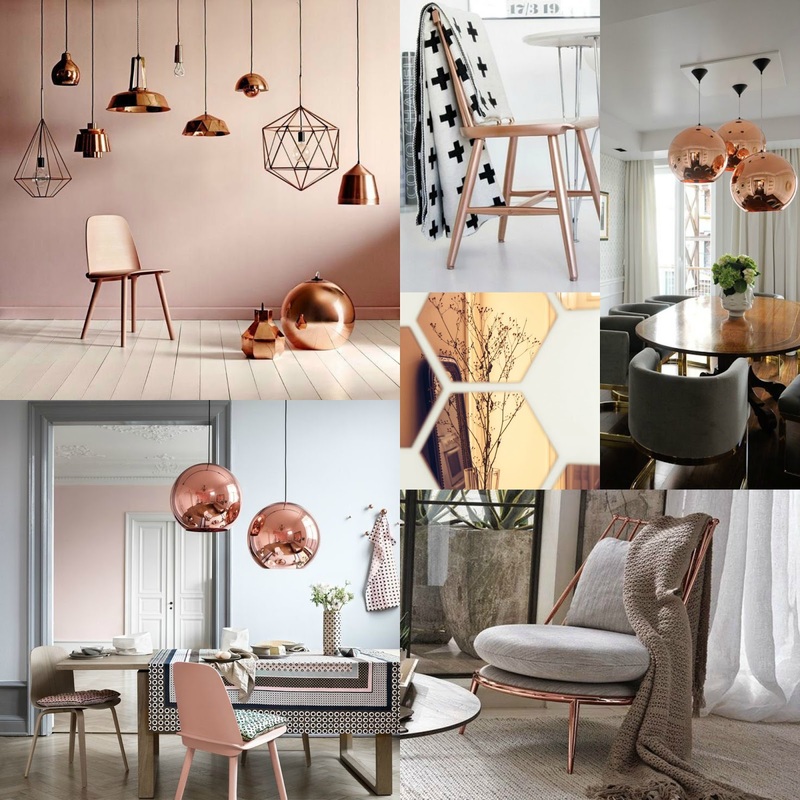 Winner of the Dulux colour of the year 2015, Copper Blush epitomizes the trend sweeping the fashion and home world, with both Copper and Rose Gold becoming a must have not just in jewellery but in our homes. While i am not sure i could paint an entire room in this beautiful paint shade, i could definitely embrace a touch of metallic glamour in my home through some accessories or a piece of furniture. Some of the latest room inspiration pins, from my home Pinterest board. Both Copper and Rose Gold add warmth and a lovely accent to a simple, neutral room - i particularly love the giant bubble lampshades and the statement that they make hung over a huge dining room table, especially grouped together and hung at different heights. With house decoration on the agenda for 2016 my interior design radar is working overtime and i am constantly on the hunt for amazing pieces and this trend is a must on my shopping list. 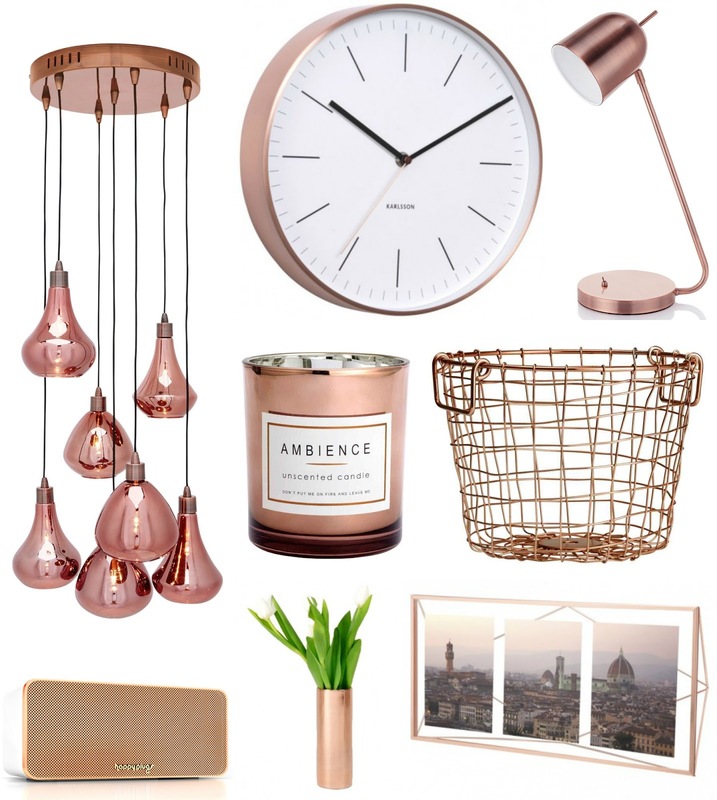 This is a small selection of the copper & rose gold items i have found so far, all very affordable apart from one splurge piece but good lighting is an investment (just don't tell my husband!) and can be the crowning glory of a room.